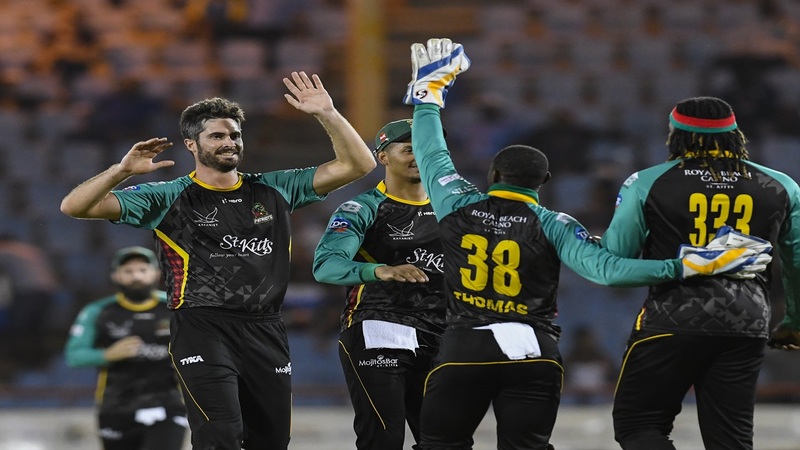 Ben Cutting (left) of St Kitts & Nevis Patriots celebrates the dismissal of Darren Sammy of St Lucia Stars during match 13 of the Hero Caribbean Premier League at the Darren Sammy Cricket Ground on August 21, 2018. (PHOTO: CPL via Getty Images). It was a dispiriting effort from St Lucia Stars which had just ended their two-year wait for a CPL victory and had been in such good form with the bat. Their two previous home games at Gros Islet had produced totals of 212 for two and a Hero CPL record 226 for six, making the collapse on Tuesday - the third lowest score in CPL history - all the more disappointing. Teenaged all-rounder Qais Ahmad was the only man to offer serious resistance with a battling 24 as wickets tumbled all around him, with Sheldon Cottrell, Mahmudullah and Sandeep Lamichhane the chief destroyers for the Patriots. Cottrell started and finished the demolition. Having been hit for six by Andre Fletcher from the first ball of the night, Cottrell had his revenge with a simple caught-and-bowled from the fourth. He wrapped the innings up just 71 balls later as Obed McCoy edged through to wicket-keeper Devon Thomas – who played his part with two stumpings and two catches to equal Kumar Sangakkara’s Hero CPL record for most wicket-keeping dismissals in a game, and then added 38 not out in the simple run-chase. 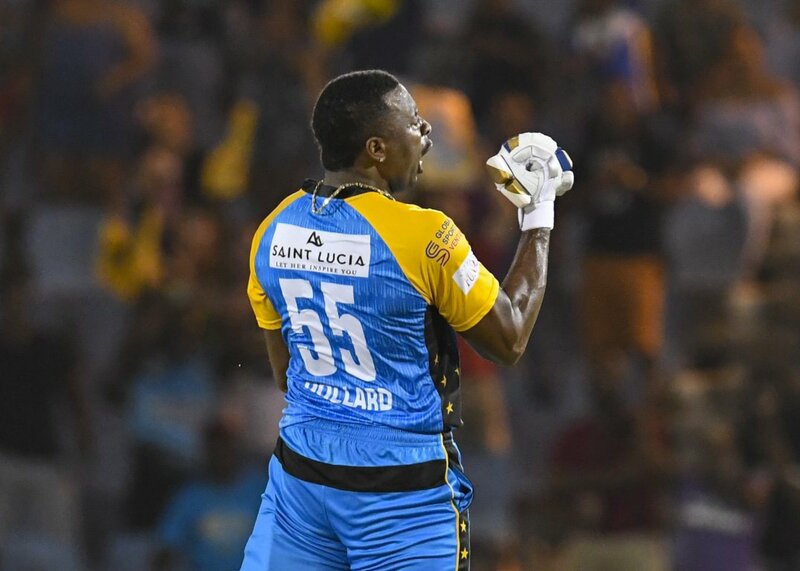 In between those two wickets, Cottrell also netted the big fish as the Stars captain Kieron Pollard failed to read a slower ball and only succeeded in poking it to cover. 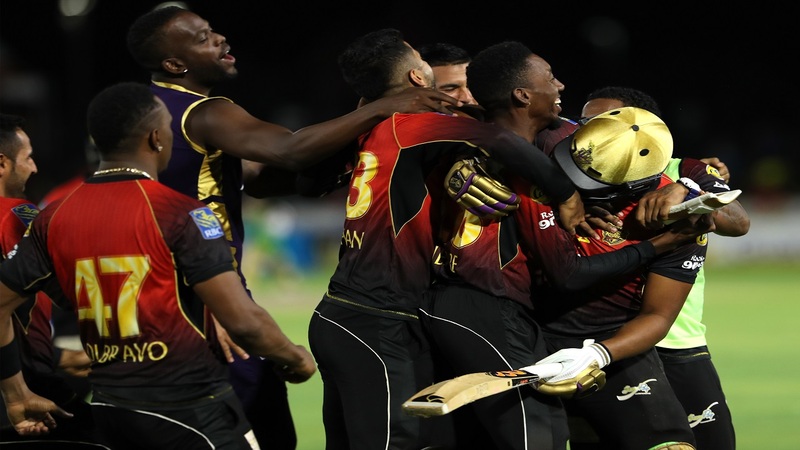 By then the Stars were already in desperate trouble at 24 for four, Rahkeem Cornwall and Lendl Simmons having both fallen to off-spinner Mahmudullah, who bagged two for 20 from four overs off the reel with the new ball. When Australia superstar David Warner fell to the irrepressible Sandeep Lamichhane for 14 and Ben Cutting removed Daren Sammy at the ground that bears his name for a three-ball duck there was no way back for the Stars. Kavem Hodge also departed without scoring after edging Cutting through to Thomas. Qais Ahmad bludgeoned a couple of defiant sixes before he fell to Lamichhane and from there the end was swift. Mitchell McClenaghan was run out after a horrible mix-up with Kesrick Williams before Cottrell applied the finishing touch. 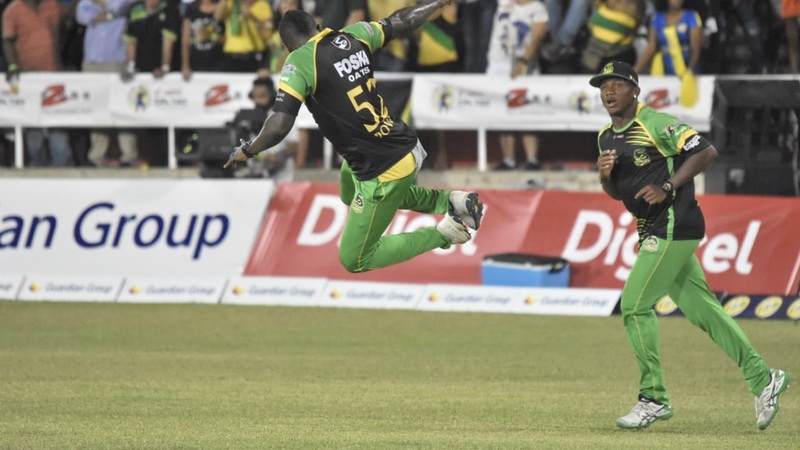 So one-sided was the contest that the Patriots had the luxury of giving Chris Gayle the innings off to rest a thumb injury he suffered last time out against Jamaica Tallawahs. Evin Lewis and Thomas opened the innings and, with pressure off and attacking fields, set about reducing the already meagre target. Thomas smashed three fours from the second over, bowled by McCoy, before Lewis took McClenaghan for 10 runs in two but then perished splicing a short ball to Warner at mid-on. It was a missed opportunity for Lewis to find some form with the pressure off – his 13 here still quadrupled his tally after a run of four runs in his last five T20 innings for Windies and the Patriots. That was a minor blemish for the Patriots, as were the loss of Brandon King for an 11-ball 17 and a slightly farcical run out for Tom Cooper, dismissed for nought with just three runs needed for victory as he and Thomas found themselves both racing for the bowler’s end as keeper Fletcher removed the bails at the other. Thomas was still there at the end, though, stroking the winning run to end with 38 from 21 as the Patriots got over the line with a whopping 12.2 overs in hand.